In research done by Columbia University located in New York, researchers have identified a certain protein in nerve calls that can turn on and off chronic pain. This is important to Fibromyalgia sufferers because they are looking at developing a drug that may be able to block chronic pain by essentially turning that switch to off. The enzyme protein kinase G or (PKG) is activated upon inflammation or injury. This is important for the Fibromyalgia community because the researchers believe that with continued research they will be able to alleviate those with chronic pain. So how does chronic pain turn on? Well, it has been believed that for years there is something that signals it on inside the peripheral nerve cells. These are neurons that feed from the body to the nerve cells in the spinal cord and relay pain to the brain. So once these are on, the trick is to find out how to shut them off. The pain becomes chronic when the pn’s continue to send the pain messages even after the inflammation or injury heals. The switch stays on. Now Columbia University researchers have found the identity of the switch. This is good news to those who suffer from chronic pain. The problem is what can you do in the mean time to alleviate the pain? There is a way to get your body aligned again and in harmony to turn the master switch off. Natural remedies that consist of detoxing your body, ridding it of harmful toxins, building a healthy environment to heal itself and then maintaining a healthy lifestyle are all building blocks to ridding chronic pain. You don’t have to live a life full of pain anymore. You don’t have to take toxic drugs to fight pain that don’t solve the problem but just attempt to mask it. You can learn to reprogram your body to a healthful and pain free state. While the researcher’s news is wonderful for those who suffer daily with chronic pain, there are steps you can take right now to begin your journey to good health with the simple steps of detoxification, rejuvenation, and maintenance. Your health, a test, a job interview, a speaking assignment, public places, etc. Sometimes these things can bring about stress for people. Especially people suffering from Fibromyalgia. This is because people who suffer from Fibromyalgia suffer from heightened anxiety. So what do we do about it? Relax. It sounds so easy. I mean the word alone sounds so relaxing. Relaxing means different things to different people. How does one attain relaxation in today’s stressful world? Well, it would be a lot easier if I told you to be stressed. That’s easier to accomplish. Though this is true, relaxation is a state of mind. The key to relaxing is to learn to relax your mind. Sound easy? Well, it can be, with the right tools. The important part to remember is that you possess the power in you to be able to relax. It’s up to you. Your brain is able to create this relaxing environment. Your brain can actually play an active role in being able to relax simply by focusing. What am I talking about? If you find yourself focusing on stressful situations and experiences that could happen, you are not doing yourself any favors. You will be tense all the time. One reason why people give the advice to public speakers to picture the audience in their underwear is to get them to relax their thinking and focus on something not tense. If you are too focused on your health, you will be stressed and this can lead to poor health and more susceptibility of diseases. So what can you do to help you really relax? Focus on one thing. Yep, only one thing. Using deep breathing techniques during this focus session will help you. Continue this practice and take a few deep breaths and focus on your one thing. This will help you to keep your mind clear of anything else and reach a deep relaxation point. Closing your eyes will help you achieve this sense of relaxation. Try it and you will see great improvement to your stress levels. The statements found within these pages have not been evaluated by the Food and Drug Administration. If a product or treatment is recommended in these pages, it is not intended to diagnose, treat, cure or prevent any disease. This information is provided for educational purposes only and is not meant to take the place of individual medical advice of a qualified physician. It can be difficult to rid yourself of the symptoms of fibromyalgia that are plaguing you and your everyday activities. However, you know that you can’t go on any longer fighting these debilitating symptoms, suffering day to day. You feel tired, your joints and muscles are aching and fatigued, you know this is not what your life is meant to be. Unfortunately, finding the right answer to beating this condition and its accompanying symptoms can be difficult. When you learn how to rid yourself completely of Fibromyalgia, these things are going to be yours for the taking. You will find happiness again. Your health is going to be optimal and you will be functioning better than you have in years. Suddenly you will find that you can do just about anything and handle any problem because you have your health. Learning to regain your health again from the devastating grips of Fibromyalgia is not hopeless. There is a way to get your body back to the health you once knew. Through a system that is comprehensive and includes detoxing your body, rejuvenating your body, and maintaining your health, you can start feeling better today. With a guided hand showing you the way, you will find that the Heal Your Body system is the best thing that has happened to your health in years. No more medications that just mask the symptoms of this syndrome, it’s time to take care of the root of the problem. Once you implement this system into your life, you will find that you feel better, have energy, are not depressed, and can embrace life and engage with others again. Hi, guys. I’m Dr. Josh Axe, doctor of natural medicine and founder of DrAxe.com. 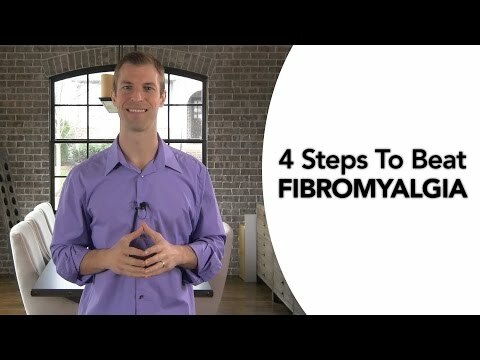 In this video, I’m going to share with you the four steps to beat fibromyalgia. I’ll share with you fibromyalgia diet, the fibromyalgia natural remedies, as well as the best supplements to take. And I guarantee you if you follow these tips, you can see results in as little as 24 hours in getting relief from the pain you’re experiencing with fibromyalgia. Now, let’s talk about the diet first. When it comes to fibromyalgia, you want to reduce inflammation. And the causes of fibromyalgia tend to be inflammation in the body. Sometimes it can be related to, with some people, autoimmune-like reactions in the body so we really need to settle down the immune system. Also, fibromyalgia can be caused from ligament laxity. When you have too much ligament laxity, if you’ve ever been physically abused, or been in a car accident, that can cause it, and, of course, emotional things as well can cause major health issues, and cortisol and hormone imbalance in the body. 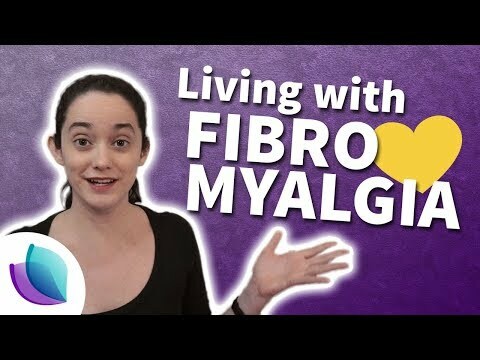 So with what I’m going to share with you in this video, I’m going to help you get to the root cause of healing fibromyalgia for good. So let’s jump back to diet. We’ve got to follow a diet that reduces inflammation but also helps repair damaged tissues. You know this if you’re experiencing fibromyalgia. You’re experiencing constant pain and tenderness throughout the body. Well, we want to reduce inflammation, but you also want to give your body the specific nutrients it needs to rebuild those healthy tissues. So to rebuild the healthy tissues, you need more collagen in your diet. We know collagen helps strengthen your cell structure. And there’s a big thing you’re missing in your diet today and that’s bone broth and collagen. Now bone broth, you can get this in the form of liquid form or in bone broth protein powder, but we know bone broth contains the amino acids proline, glycine, and glutamine, which are responsible for tissue repair. So if you’re not getting bone broth in your diet, that’s the number one superfood you need to start healing fibromyalgia. And so bone broth is easy to make. You take some bones from beef, or cartilage and tendons and bones from chickens, you put it in a crock pot with water for 24 to 48 hours, or in a pressure cooker, you let it go with some water, and it basically pulls out the vitamins and minerals from those bones. And you’ve then got a liquid that you can help heal your body. But you don’t have to make it yourself. You can simply order it or get it in a powder form, and add about three tablespoons to a smoothie. But the number one healing food for fibromyalgia is bone broth protein powder. The next food you need are foods rich in Omega-3 fatty acids, such as wild caught salmon, other forms of fish, such as halibut and mackerel, also grass-fed beef contains Omega-3 fats, and then certain nuts and seeds, such as flaxseeds, chia seeds, and walnuts. Get more Omega-3s to reduce inflammation; it is key in healing fibromyalgia. Also, getting more fruits and vegetables, and specifically I don’t recommend a lot of raw foods if you have fibromyalgia, more cooked foods. The ideal food for you is a warm bone broth soup, with some organic chicken, lot of veggies that are made in a crockpot, a warm, nourishing food is ideal for anyone with fibromyalgia. Also getting more green, leafy vegetables and berries in your diet, nutrient-dense foods like that, are fantastic. So that’s the type of diet you want to follow specifically. Now, in terms of supplements, here are some of the best things for fibromyalgia. Number one, without a doubt, is magnesium. Now not just any magnesium, you want to get a magnesium chelate or a magnesium oil. Now you can get a magnesium oil, rub it in your skin, it gets directly into your body. In fact, for most people, they absorb and do better with a magnesium oil than they do taking a magnesium capsule supplement. But magnesium is known as the relaxation mineral so it’s one of the best supplements for helping you heal fibromyalgia. You typically want to take about 300 to 500 milligrams a day or you want to rub, do about 30 sprays on your body of magnesium oil. And another great thing to do, by the way, a lifestyle tip, is to get a cup of Epsom salts, 20 drops of lavender essential oil, soak in a bath three nights a week, and then you’re getting the magnesium that way, as well as the lavender oil, which helps your body and muscles relax as well. Other supplements that are important, Vitamin D-3. We know Vitamin D-3 supports your immune system, it’s important for hormone balance, it’s the second most important supplement for healing fibromyalgia. I recommend 5000 IUs daily. The next group of supplements is Vitamin B complex. Now, the most important of those is typically Vitamin B-12, and Vitamin B-12 really helps support neurological functions. It supports your brain, your spinal cord, helps in balancing out pain. But I highly recommend you get a good quality Vitamin B complex, and ideally, it’s organic. So look for an organic B complex supplement, another great supplement for naturally treating fibromyalgia. And then a few other things. Again, essential oils are great, chamomile oil, ylang-ylang oil, lavender essential oil is good to use. And then one other natural treatment I want to share with you when it comes to treating fibromyalgia is doing something called prolotherapy, or PRP, or stem cell. Now prolotherapy is for lax ligaments. And if you’ve ever been in a car accident, or abused or had any type of injury, that can cause fibromyalgia, and so what happens is your ligaments should help be supporting your spine and your different muscles and ligaments. Well, if those get loose, then your muscles have to work even harder, which causes trigger points and muscle spasms. So prolotherapy can help in treating that. So what I would do is look up prolotherapy in your area. Prolotherapy is where they’re injecting glucose into you, or taking some of your own blood, taking just the plasma out, re-injecting your plasma into you, but that plasma helps the healing process. It helps speed healing, it’s great for that reason. And also, a few other things that can help, acupuncture is great, as well as certain types of corrective chiropractic care because it’s help restoring your spine, the normal posture and spinal curvatures, which can take pressure off the muscles, reducing muscle pain. So remember, if you’re going to beat fibromyalgia, number one, follow that diet I shared with you. Also, look for some of these natural treatments. And if you want to learn more information, go to my website, DrAxe.com, it’s DrAxe.com, and just do a search for fibromyalgia. I have a written plan there. Also, subscribe to the YouTube channel here. I’ve got a lot more great videos that are going to teach you the best natural cures and remedies to take your health back. Hey, thanks for watching..
Read on to know the symptoms as well as the or topical lidocaine are recommended to relieve the symptoms. Here is a brief overview of Chi is through meditation. 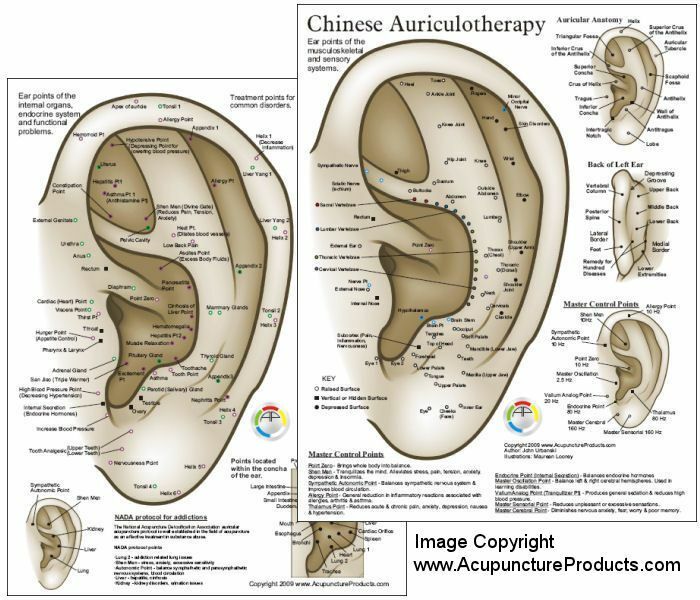 A research conducted in 1999 went on to report that acupuncture in enjoying good health.